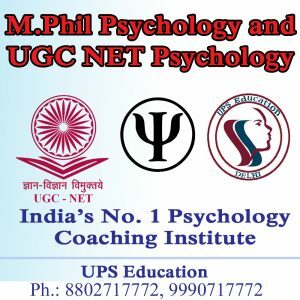 UPS Education offers regular coaching classes as well as Distance Learning Coaching mode for both M.Phil Clinical Psychology Entrance and UGC NET JRF Psychology. 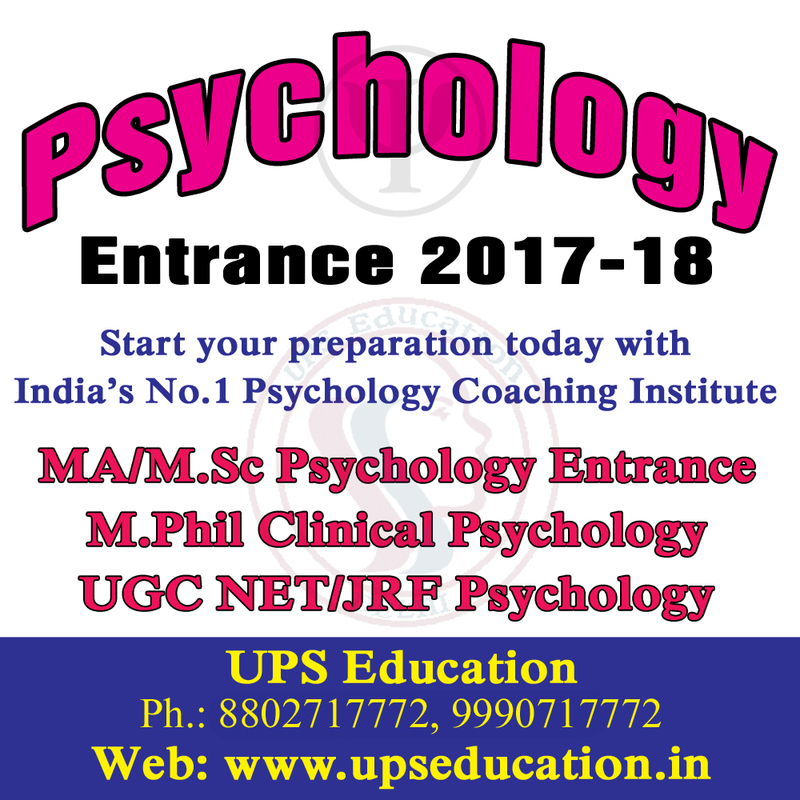 UPS Education is India’s No.1 Psychology Coaching institute because of their Gold Medalist faculty, Well-research notes and highest result in India. 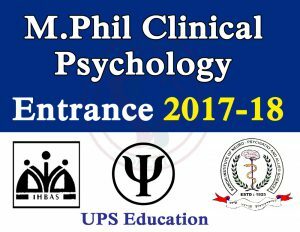 Join UPS Education and start your preparation today for M.Phil Clinical Psychology Entrance and UGC NET JRF Psychology. It will definitely increase your chance of success. This entry was posted in Best CBSE NET Psychology Best CBSE NET Psychology, Best CTET Coaching in Delhi, Best NET Psychology Coaching, Best NET Psychology Coaching in Delhi, CBSE NET JRF Psychology Coaching, CBSE NET Psychology Coaching, NET JRF Psychology Coaching, NET Psychology Coaching, NET Psychology Coaching in Delhi, UGC NET Psychology Coaching on April 29, 2017 by UPS Education. Ending confusion for nearly 5 lakh students, the UGC has said that it has convinced the CBSE to conduct the entrance test based on which college and university teachers are recruited. For the first time in 33years, the national eligibility Test was facing uncertainty after the CBSE had written to the HRD ministry earlier this year expressing its inability to conduct the exam. 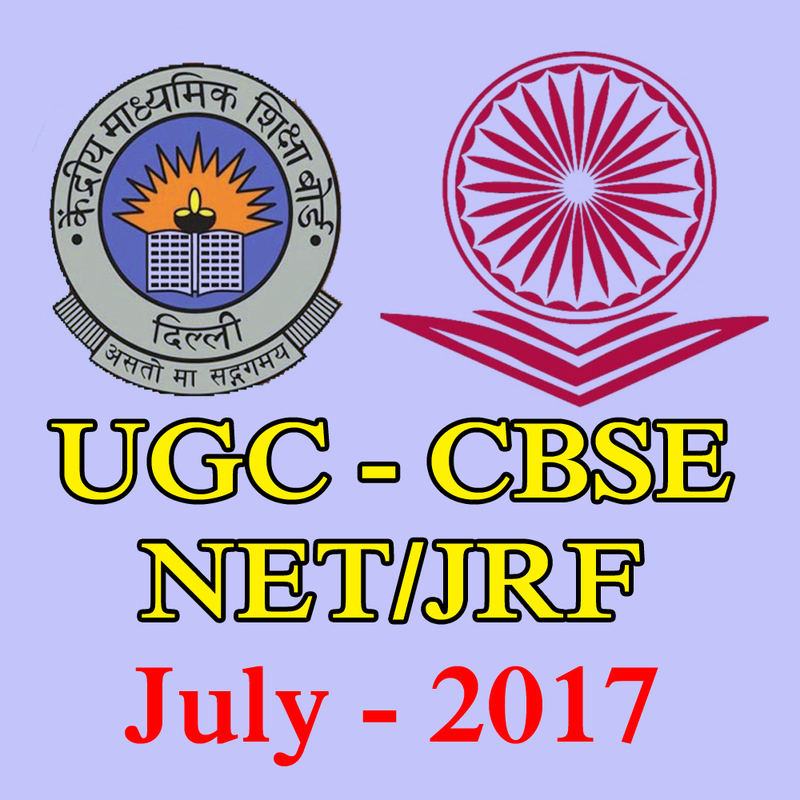 This entry was posted in Best CBSE NET Psychology Best CBSE NET Psychology, Best NET Psychology Coaching, Best NET Psychology Coaching in Delhi, CBSE NET JRF Psychology Coaching, CBSE NET Psychology Coaching, NET JRF Psychology Coaching, NET Psychology Coaching, NET Psychology Coaching in Delhi, UGC NET Psychology Coaching on April 27, 2017 by UPS Education. Hello Dear Student, start your preparation for Psychology Entrance Exam 2017 with UPS Education. Increase your chance to crack entrance exam this year. 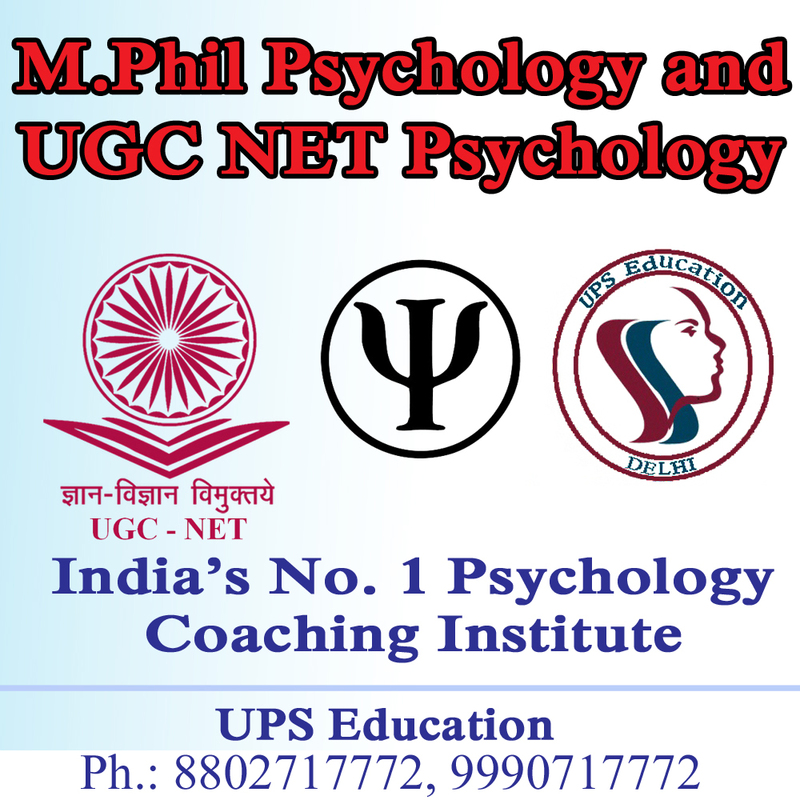 UPS Education provides coaching classes as well as Distance learning mode coaching for MA/M.Sc Psychology Entrance, M.Phil Clinical Psychology Entrance and UGC NET JRF Psychology Examination. Join our new Classroom batch or Distance mode coaching mode. This entry was posted in Best CBSE NET Psychology Best CBSE NET Psychology, Best NET Psychology Coaching, Best NET Psychology Coaching in Delhi, CBSE NET JRF Psychology Coaching, CBSE NET Psychology Coaching, M. Phil Clinical Psychology Coaching, MA Psychology Coaching, NET JRF Psychology Coaching, NET Psychology Coaching, NET Psychology Coaching in Delhi, UGC NET Psychology Coaching on April 24, 2017 by UPS Education. Are you searching Psychology Classes or Study Materials for Psychology Entrance Examination?? 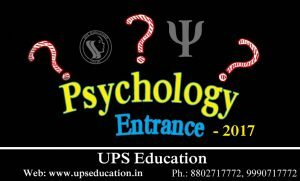 Stop your searching now, UPS Education is India’s No.1 Coaching Institute for Psychology Entrance Examinations. We provide both Regular Classroom Classes as well as Distance Learning Mode Coaching for psychology entrances like: MA/M.Sc Psychology Entrance, M.Phil Clinical Psychology Entrance and UGC NET JRF Psychology. Join our classroom program or Distance Learning mode Coaching, it will defiantly increase your chance of success. 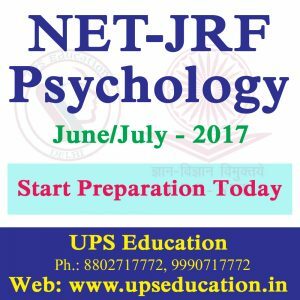 This entry was posted in approaches of psychology, Best CBSE NET Psychology Best CBSE NET Psychology, Best NET Psychology Coaching, Best NET Psychology Coaching in Delhi, CBSE NET JRF Psychology Coaching, CBSE NET Psychology Coaching on April 20, 2017 by UPS Education. 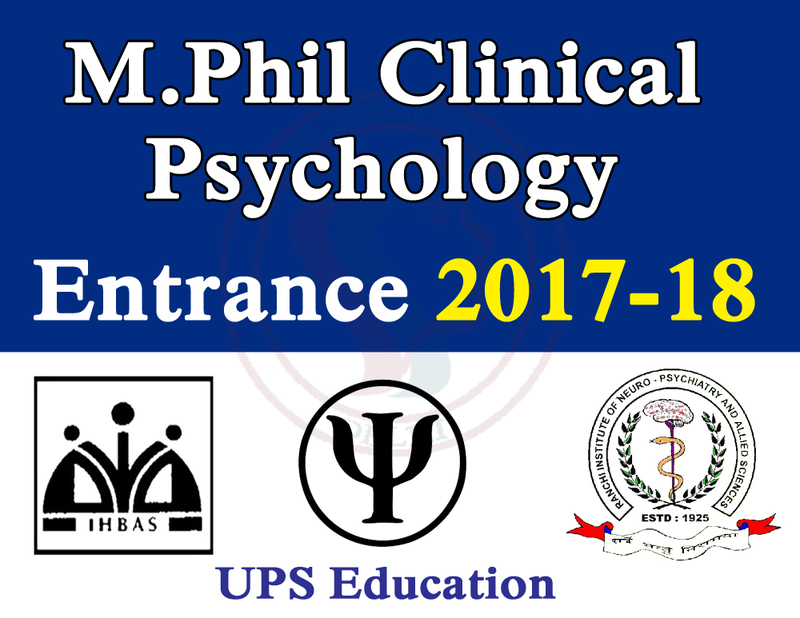 UPS Education is the Best option for those who want to crack M.Phil Clinical Psychology Entrance. IHBAS (Institute of Human Behaviour and allied Sciences) and RML (Ram Manohar Lohia) Hospital is the top destination for those who are aspirants of M.Phil Clinical Psychology. Application forms are already out for RML, PGI (Raipur) and RINPAS, so start your preparation with India’s No.1 Psychology Coaching Institute; only few day are left for examinations. Don’t miss the chance to take admission this year. This entry was posted in M. Phil Clinical Psychology Coaching on April 17, 2017 by UPS Education. 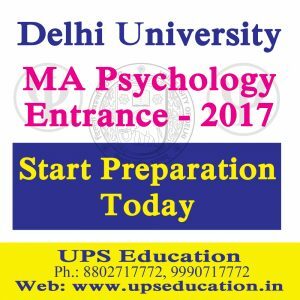 Are you appearing Delhi University’s MA Psychology Entrance Examination of 2017? Probably Delhi University releases their application form in Last week of April for MA Psychology Entrance Examinations and usually exams held in month of July; so few months are left for DU Entrance Examinations. 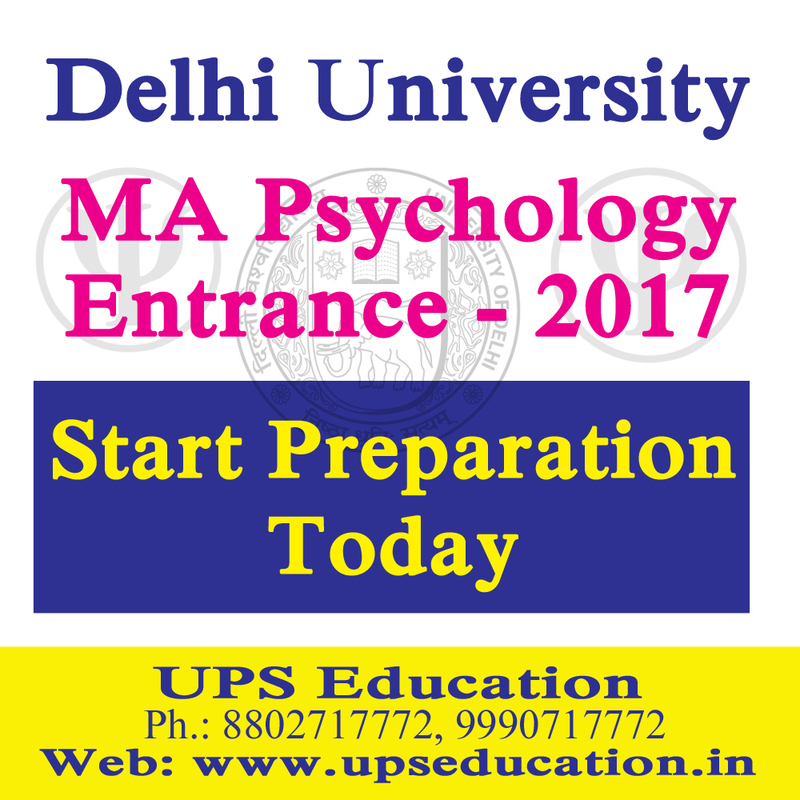 Start your preparation as soon as you can if want to get admission in Delhi University for MA Psychology Course. UPS Education is India’s No.1 Psychology Coaching institute for Regular classroom program as well as Distance Learning mode coaching. Join our upcoming classroom batch or Distance Learning mode coaching and increase your chance of admission. This entry was posted in psychology coaching class and tagged best coaching center for ma psychology, delhi university ma psychology, MA Psychology, ma psychology from delhi university on April 11, 2017 by UPS Education. 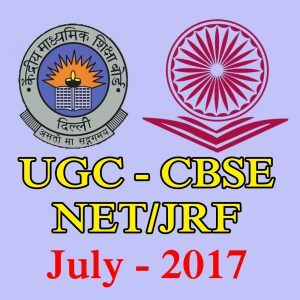 Are you preparing for UGC-NET/JRF Psychology Examination of July 2017? 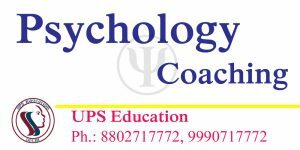 UPS Education is India’s No.1 Psychology Coaching Institute; we are going to start our New Batch for UGC NET JRF Psychology from 12-April-2017. Start your preparation if you not started yet and join our Classroom program or Distance Learning Program. It will definitely increase your chance of success. 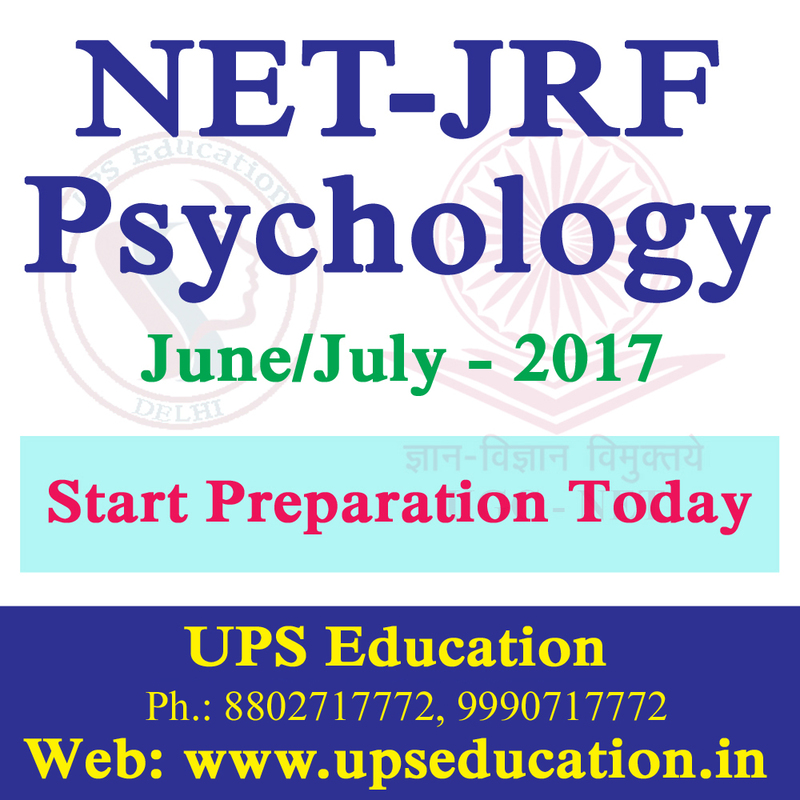 This entry was posted in approaches of psychology, Best CBSE NET Psychology Best CBSE NET Psychology, Best NET Psychology Coaching, Best NET Psychology Coaching in Delhi, CBSE NET JRF Psychology Coaching, CBSE NET Psychology Coaching, NET JRF Psychology Coaching, NET Psychology Coaching, NET Psychology Coaching in Delhi, UGC NET Psychology Coaching on April 8, 2017 by UPS Education. 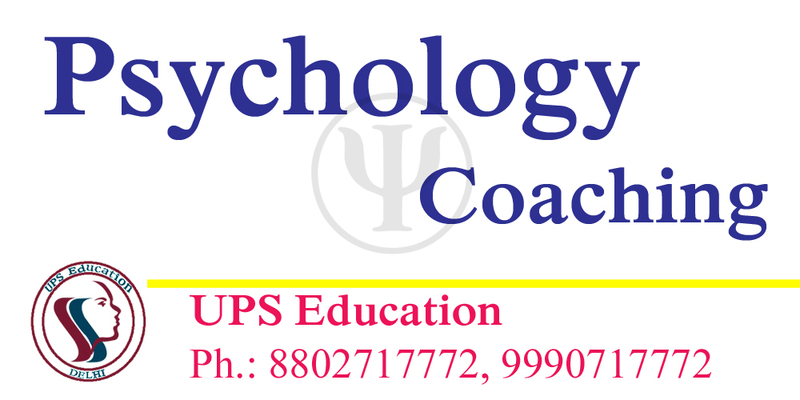 UPS Education is India’s No.1 Psychology Coaching Institute, we provides classroom program as well as Distance Learning Mode Coaching for Psychology Entrance Exams like: MA/M.Sc Psychology Entrance, M.Phil Clinical Psychology Entrance and UGC NET JRF Psychology. Join us today and step ahead to your success. Batches will start from 11-April-2017. 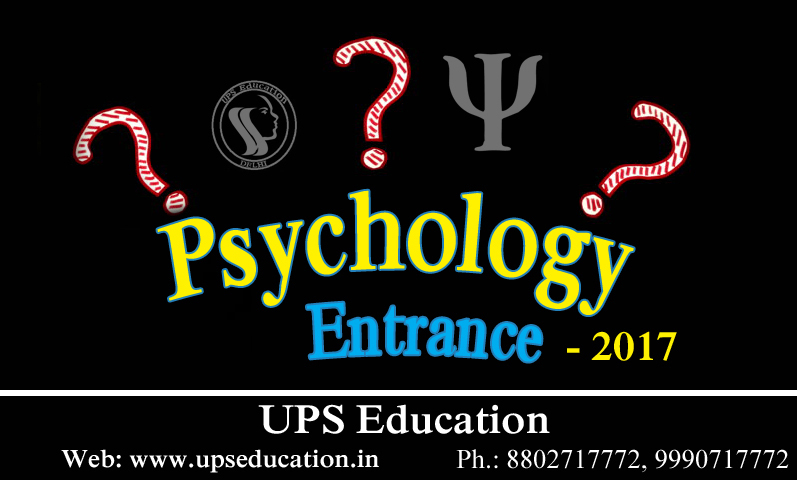 This entry was posted in approaches of psychology, Best CBSE NET Psychology Best CBSE NET Psychology, Best NET Psychology Coaching, Best NET Psychology Coaching in Delhi, best psychology coaching classes in delhi, CBSE NET JRF Psychology Coaching, CBSE NET Psychology Coaching, NET JRF Psychology Coaching, NET Psychology Coaching, NET Psychology Coaching in Delhi, UGC NET Psychology Coaching, ups education on April 5, 2017 by UPS Education. 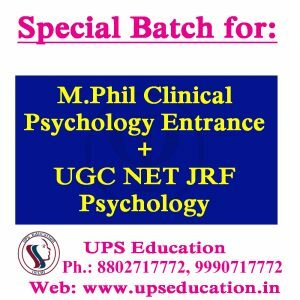 UPS Education designed a very unique for course for those students who are interested to study M.Phil Clinical Psychology course for RCI license and as well as interested to crack UGC NET Psychology Examinations, we have already started this special combined batch, so if you are interested for this batch than contact us today and start your preparation today. New batch will be start from 11-April-2017. This entry was posted in Best CBSE NET Psychology Best CBSE NET Psychology, Best NET Psychology Coaching, Best NET Psychology Coaching in Delhi, CBSE NET JRF Psychology Coaching, CBSE NET Psychology Coaching, M. Phil Clinical Psychology Coaching, NET JRF Psychology Coaching, NET Psychology Coaching, NET Psychology Coaching in Delhi, psychology coaching in delhi, UGC NET Psychology Coaching on April 1, 2017 by UPS Education.